The Beth Israel Deaconess Medical Center (BIDMC) Fellowship in Emergency Department Management prepares emergency medicine (EM) physicians to become effective emergency department managers and leaders in their home departments. During the program, fellows will develop expertise in emergency Department (ED) quality improvement and patient safety, ED operations (including clinical flow, overcrowding management, and pathway development), ED staff training and/or residency program development, and other essential management and leadership skills. 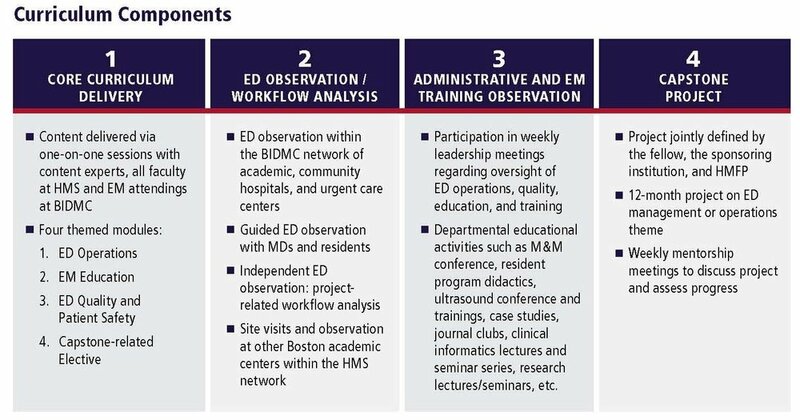 The goal of the fellowship is to provide emergency medicine clinicians with the key operational, administrative, and management skills they need to effectively manage high functioning and patient-safe emergency departments. The program will teach fellows how to optimize and improve their emergency departments through an evidence-based curriculum focused on EM operations, education, and quality. One of the aims of the fellowship is to inspire fellows to become beacons of change within emergency medicine in their home countries or departments. Each fellow will complete a practical Capstone Project to be implemented at the fellow’s home institution upon conclusion of the program. The core curriculum will be delivered in four content modules by the HMFP fellowship faculty. The program will also begin with a 2-week orientation and finish with a presentation of the Capstone Project. 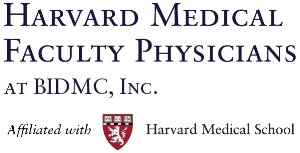 *Additional BIDMC emergency physicians with HMS appointments are included in the fellowship faculty and will teach components of the various modules. The tuition of the fellowship is $115,000 USD.